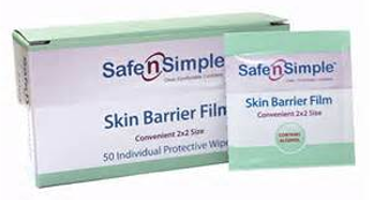 After Cleansing, protect sensitive skin with Safe N Simple Skin Barrier Film. Provides a protective barrier film layer on the skin, for use under wafers, tapes and hydrocolloid dressings to help protect against irritation. Size: 2" x 2"